For The purpose of work permit issuance pursant to section 7 and section 8 of working ofAliens Act B.E. 2521 consistent with Rule of Department of Employment on the Citeria for the Consideration for Work Permit Issuance shall be prescribed. Political, religious, and social security of the Kingdom. The priotection of Thai nationals over aliens in the occupations for which Thai nationals have adequate skills and there is no shortage of labour in the occupations. The employment of the aliens shall bing about a large amount of foreign currencies for investment or expenses in the Kingdom, and shall generate employment of Thai nationals in a large number, or in case where modern and advanced technology is required, bring about technology transfer to Thai nationals. Skill development of Thai nationals shall be derived from technology or knowiedge transferred, or the understanding of how to operate modern machines and tools by such aliens. For the aliens who work with and have certified letters from financial institutions under the supervision of Bank of Thailand or Ministry of Finance or other government offices taking responsibility in financial institutions supervision, the number of suc h aliens to be granted a work permit shll be as identified in the certified letters. For the aliens who have certified letters from central or regional or localgovernment offices, state enterprises and public organizations under Public Organization Act which identifies name, position and duration of work. Working with the employers who paid rebenue tax of a recent year of not less than 3 million baht. Working with the employers who performexport business and bring about foreign currencies into Thailand of minimum baht in a recent year. Working with the employers in tourism business, which bring not less than 5,000 foreign tourists into Thailand in a recent year. Working with the employers who employ not less than 100 Thai workers. For the aliends who work with the employers whose bysiness have paid up capital of minimum 2 million baht or work with the employers who have overseas registered and perform the business in the Kingdom with not less than 3 million baht of overseas capital, the said criteria about the limit on the number of aliens to be granted work permit as prescribed in No. 5 (3) shall not apply to the following. Alien workers who can use technology which Thai nationals cannot perform or where there is a shortage of Thai worker. However, there shall be a technology transfer to at least 2 Thai nationals with the time limit. Alien workers who possess expertise to accomplish the work in a limited timeframe project. Alien workers who work in entertainment business with a temporary contract. The aliens who work in a foundation, association or other nonprofit organizations, which create benefits to society as a whole, are exempt from the prescription of No. 5 (3). 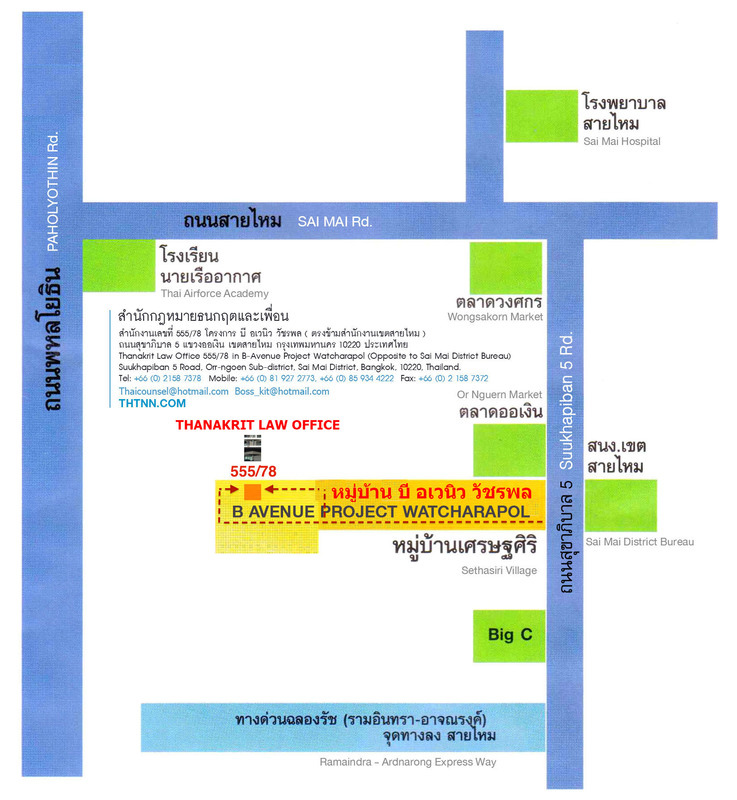 The aliens who work in representative offices of foreign intemational-trading businesses set up to give recommendations on merchandise the head office distributes to dealers or customers, publicize information about merchandise or new services of the head office, report the head office4 about business movement in Thailand to not more than 2 persons in the head office. The aliens who perform the duty in Thailand for marketing supply or service supply fot their head offices, or perform the duty in quality and quantity controlling of produets made in Thailand for their head office shall be permitted to work in such position in such business for not more than five persons. Hhwever, this criteria is not prescribed to representative offices which can proivide a procurement or service in Thailand for their head office and that head office had ordered such goods orservice from manufacturer in Thailand in a recent year for the value of not less than 100 million baht. The aliens who work in regional offices which are established under the laws of country and perform a berform a business in another country, to perform the work as a representative of the head office in providing the services for example, business coordination and supervision to the branch or the companies in their of companies which are located in the region, consultant or human resources development training services, financial management, marketing management and sale promotion planing, production development, and research and development without any income from such serbices other than receiving the payment from the head office, and with no authority to buy or sell or do any trading business with any person or legal in a country where such representative offices are located, such aliens shall be permitted to work in that representative office not more than five persons. However, representative offices, which bring more than 10 million baht into Thailand for their expenses in a recent year, are exempt from the above-mentioned criteria. For the aliens who work with the employers whose business generates income in the past or present year. The work permit will be issued to an alien worker for every 700,000 baht income but the total number of aliens to be granted work permit shall not be more than three persons. For the aliens who work with the employers who paid tax in the past year. The work permit will be issued to an alien worker for every 50,000 baht income but the total number of aliens to be granted work permit shall not be more three persons. For the aliens who work with the employers who employ four Thai workers; a work permit will be issued to an alien for every four Thai workers but the total number of aliens to be granted work permit shall not be more than three. For the aliens whose spouses are Thai nationals and having a marriage certificate, as well as cohabiting as husband and wife, the criteria prescribed in Paragraph one shall be reduced by half. Conducting law suits in arbitration court in the case in which the applicable law is not Thai law or in case where no final judgment is requested in the Kingdom of Thailand. The consideration other than the above mentioned case or regulations shall be unedr the authority of the Director-General. The applications which are submitted to the competent official before the effective date of this Tule shall be under the prescription of the Rule of Department of Employment on the Consideration Criteria for Work Permit Issuance B.E. 2545 issued on 22 May B.E. 2545, the Rule of Department of Employment on the Consideration Criteria for Work Permit Issuance (No. 2) B.E. 2545 issued on 11 July B.E. 2545 and the Rule of Department of Employment on the Consideration Criteria for Work Permit Issuance (No. 3) B.E. 2546 issued on 5 February B.E. 2546. The Director-General shall have charge and cntrol of the execution of this Rule. Having residence in the Kingdom or having permission to stay in the Kir gdom temporarily under lmmigration law (only NON-IMMIGRANT VESA is acceptable). Having the knowledge and/or skills to perform the work ax stated in ghe apolication for a work permit. Not being insane or mentally sick. suffering from Leprosy, Tuberculosis, Drug Addiction, Alcoholism, Elephantitus and Tertiary Syphilis. Never having been imprisoned for violation of the lmmigration Law or the Working of Alien Act at least one year prior to the date of application. Passport and one copy of all pages or Certificate of Permanent Residnce and Certificate of Alien with a copy. A copy of occupation or profession License, in case which is prescribed by the related law. Medical certificate showing that the applicant does not suffer from prohibited deseases, as identified byb an item 3 of the above qualifications. (Issued within the last six months). Map showing the location of company/enterprise. A Power of Attorney made by the employer with 10 Baht duty stamp affixed and copies of employer’s and appointee’s I.D. card. A copy of Thai Company Registration and a copy of recent shareholders’ list. (Updated within six months). Or foreign juristic person needs to submit a copy of Business Operation License of such foreigner and document about money import. Copy of VAT Registration ; form Phor Por 01 identifying type of business ar d Form Phor Por 09 if there is any change. In case of foreign employer, a copy of employer’s work Permit is needed. If the employer is not working in Thailand nor has no work permit, Power of Attorney certified by Notary public and Thai Embassy is needed. Company engaging any business which a license from the relevant Authority is needed, for example: License, Chemical Import License, etc. A copy of Social Security Payment. And a copy of updated income such as Balance Sheet and VAT Payment; Phor Por 30. Private school teacher / Private University. A copy of letter of teacher or instructor assignment and employment contract/Private University has to show the certificate letter from the organization of Ministry of Education. A copy of teacher license (as Law of The Council of Teacher and Educational person), except for trainer. A copy of the license of the school establishment, manager license, headmaster license / a copy of the license of the university establishment and a copy of the documents show the name of employer has the right for signing on the behalf of the university. A certificate letter from the government organization / Ministry of Education and school, which shows applicants’ name, position and work period. In case of teacher of government school, a copy of teacher license (as Law of The Council of Teacher and Education Personal) is need. The trainer is not included. A letter from Ministry of Tourism and Sport show the list of applicants’ list (updated within six months). A letter from Ministry of Tourism and Sport show the list of applicants’ name, position and passport number and coordinator license. Any documents in foreign language other than English must be translated into Thai and certified by an academic Thai native speaker. All the Forms have to be filled in Thai. Every page of the documents belongs to the company need to be certified by the authorized person or the appointee with company seal. Every page of the documents belongs o applicant need to\\to be certified by the applicant himself or the appointee. After the application is completely, the process will be finished within 7 working days. THE APPLICANT HAS YET ENTERED THAILAND. 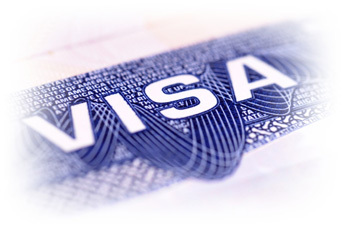 THE EMPLOYER IS RESONSIBLE FOR APPLYING FOR A WORK PERMIT ON HIS OR HER BEHALF. A letter signed by the employer showing the need to employ a foreigner and FORM OF THE EMPLOYMENT CERTFICATION. Copy of the applicant’s education certificate and job experience record. (Form designed by department of Employment is accepted in case such foreigner cannot submit the copy when applying) 4. A copy of Passport. Power of Attorney made by the with 10 Baht duty stamp affixed and a copy of employer’s I.D. card. List of foreign workers who work at this company identifying work permit number. A copy of employer’s work permit in case of him/her is a foreigner. If the employer is not working in Thailand or has no work permit, Power of Attorney certified by Notary Public and Thai Embassy is needed. Company engaging any business which a license from the relevant Authority is needed, for example: Factory License, Restaurant License, Liquor License, Cigarette License, Hotel License, Tourism License, Hospital License, Chemical Import License, etc. A copy of letter of teacher or instructor assignment, list of foreign teacher as designed form and employment contract/Private University has to show the certificate letter from the organization of Ministry of Education. A copy of teacher license (as Law of The Council of Teacher and Educational Person), in case of trainer is except. Copy of educational certificate / teaching experience record (if any). Every page of the documents needs to be certified by the authorized person on the appointee. A copy of Work Permit and the original. FORM OF THE EMPLOYMENT CERTIFICATION. Passport and one copy of all pages or Certificate of Pernanent Resic ence and Certificate of Alien with a copy. Power of Attorney with 10 Baht duty stamp affixed and a copy of employer’s I.D. card (If the applicant is unable to apply in person). A copy of employer’s I.D. card (Thai employer) or a copy of employer’s Work Permit (foreigner employer). A copy of letter of teacher or instructor assignment and employment contract / Private University has to show the certificate letter from the organization of Ministry of Education. The applicant’s passport and a copy thereof. The applicant’s work permit and a copy thereof. List of all foreigners working for the company. A company’s organization chart describing the positions of all foreignsrs. A letter or evidence to prove the necessity of employing a foreigner, f job advertisement for Thai employee and other explanatory letters. A copy of the current financial statements together with the original. A copy of the receipt and current corporate income tax return (Form P.N.D.50), together with the original thereof. A copy of the receipt and latest withholding income tax returns (Form P.N.D.1) containing the manes of all Thai and foreign employees showing the ratio of 4 Thai staff for 1 foreign staff together with the original thereof. A copy of the receipt and latest personal income tax return (Form P.N.D. 91) of the applicant together with the original thereof. A copy of the receipt and latest social security contribution returns (Form Sor.Por.Sor. 1-10) together with an original thereof. A copy of the receipt and latest Value Added Tax returns (Form Phor. Por. 30) together with the original thereof. A copy of the receipt and special business tax returns (Form Phor. Thor. 40), together with the original thereof. Proof of registration of legal entity such as a certification of incorporation. Certified by the Ministry of Commerce’s Registrar not more than 6 months. A list of shareholders (Form Bor.Or.Jor.5) certified by the registrar not more than 6 months. If a power of attorney is granted, it must clearly specify the matters which are authorized to apply for an extension of temporary stay on behalf of the foreigner or the matters to be carried out on behalf of the authorized director of the company. Stamp duty must be affixed to the power of attorney and a copy of the grantor’s and the attorney-in-fact’s identification cards are required to be attached. For a foreigner accompanied by his or her family, a copy of the proof of family relationship. Such as marriage certificate. birth certificate, or any acknowledgement letter issued by the authorities. together with the original thereof which is certified by the competent authority. A location map showing the applicant’s workplace. Photographs of the interior and exterior of the workplace where the applicant is working. Other documents or evidence as requested by the Committee on Monitoing Official Proceedings of Officers attached to the Immigration Bureau. Remark : the authorized director (s) as specified in the Certificate of Registration must affix his / her / their signature (s) and the company’s seal on every photocopy page.